When you visit Deerfield Dental your smile and oral health is our top priority. Dr. Reyes Retana and team are dedicated to providing the highest quality of family,general, and cosmetic dentistry. Our patients are like family to us, and our goal is to make you feel right at home. Dr. Reyes Retana believes in educating her patients, while taking her time making sure they understand all of their available options. Deerfield Dental offers a variety of services, and sees patients of all age groups to meet your dental needs. We want our patients to feel comfortable, and at the end of the day feel confident they are making informed decisions when it comes to their oral health. New Patients Click Here to make an appointment or send our team members questions you may have so we can assist. 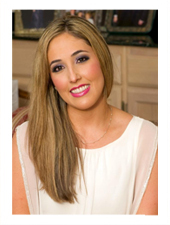 San Antonio dentist, Dr. Ana Reyes Retana is a dental professional dedicated to general, family, and cosmetic dentistry with services including dental exams, dental makeovers, teeth whitening, veneers, crowns, x-rays, fluoride, cleanings, and more. 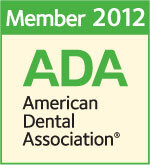 Please come and visit Deerfield Dental for your next appointment.